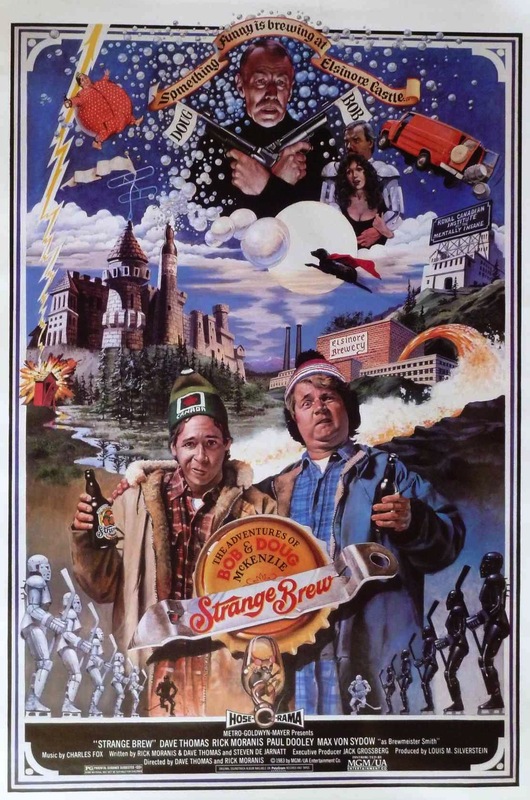 What It’s About: A seemingly harmless prank leads two hosers into a mystery involving brainwashing, murder, the Royal Canadian Institute for the Mentally Insane, and lots of beer. Why Watch it Today? : Oktoberfest, celebrated around the world as well as in this film, ends in Munich today. Prost! This entry was posted in Based on a Sketch, Comedy, Crime, Movie of the Day and tagged Charles Fox, Dave Thomas, Genie Golden Reel award winner, Lynne Griffin, Max Von Sydow, Paul Dooley, Rick Moranis.